UPDATED: Oct 22, 2014 to include new comments on Digital Projection's 4K LED and LASER announcements and link to Epson 3500 review. This year's CEDIA trade show in Denver was one of the sleepier ones in recent memory as far as new consumer home theater projectors priced under $10,000 are concerned. Epson took the lead with the most buzz-worthy release of the show -- the LS10000, an all new 4K enhancement projector that features reflective technology, a laser light engine, and automated Lens Memory for constant image height installations (see the Epson LS10000 review). The price for this unit is quoted as "under $8000," but it is yet to be finalized since it will not start shipping until November. Epson also unveiled a surprising firmware update to the Pro Cinema 6030 and Home Cinema 5030 and 4030. We've got this update in house, and we've been looking at twin 6030's, one with it and one without it. And bottom line, this firmware enhancement produces an obvious (some might say startling) improvement in image quality; detail shows markedly better definition, and contrast appears to be increased in the mid-tones. Rarely does a firmware update produce such a momentous improvement in image quality. This update should be available next month. Epson is currently working out details as to how current owners of the 4030, 5030 and 6030 will be able to avail themselves of the update, so we will report that information here when available. If you own one of these models, this firmware upgrade is one you won't want to pass up. At the low end of the Epson product line, the long-lived 8350 is finally being retired and replaced with the Home Cinema 3000, the Home Cinema 3500 and its wireless version, the 3600e. These units were not being demo'd at the show, and we have not seen them. But the 3500 will begin shipping next month at an initial price of $1,699. We will review it as soon as it shows up. Believe it or not, that is really all there was to report as far as new home theater projector releases under $10,000 are concerned. 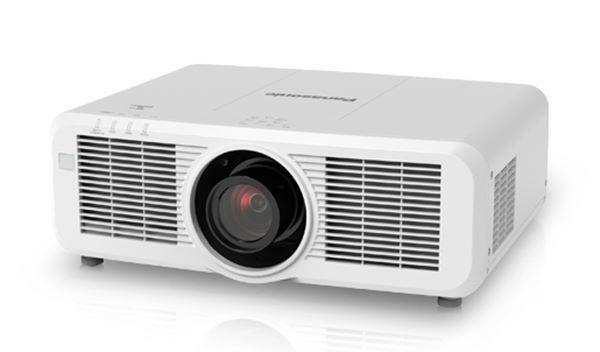 But at the opposite end of the price scale, up in the rarified atmosphere, Digital Projection, Inc. (DPI) unveiled two new3-chip DLP-based 4K models, one featuring a laser light engine, and the other an LED engine. The new 12,000 lumen INSIGHT 4K LASER, the much brighter of the two, offers outstanding brightness uniformity and 4-side edge blending with black level equalization to accommodate multi-screen installations. The laser engine has an anticipated life span of 20,000 hours. The INSIGHT 4K LASER will begin shipping this fall at a price of $119,995. DPI's INSIGHT 4K LED, rated at 2000 lumens, is more appropriate for venues that do not require the lumen power of the 4K LASER. The engine has an estimated life of 60,000 hours, which is the equivalent of non-stop 24/7 operation for seven years without bothering with the cost or interruption of a replacement lamp. The INSIGHT 4K LED will begin shipping this quarter for $149,995. Other than these new product releases there was plenty of other activity on the floor. Sony had a large theater showing double-stacked VW1100ES's, a 4K projector released last fall. It was an impressive 4K demo, the highlight of which was a video clip from the recent World Cup sourced at native 4K and 60 fps. Sim2 was showing their new NERO 20th that they announced at Infocomm in June; this is a 1080p single chip DLP, 1200 lumen home theater model that began shipping last week at a price of $9,900. JVC had a relatively small booth on the show floor featuring the DLA-X500R, X700R, and X900R, three models that began shipping last December. The JVC booth was sparsely attended every time we walked by, no doubt because this crowd was already familiar with the products. Panasonic, Optoma, and BenQ were not at the show at all, which is typical since they do not sell through the CEDIA custom installer channel. But for bargain shoppers, here is an alert ... the Panasonic AE8000 has dropped in price to $1999 (see Panasonic AE8000 review). That, in our normative judgment, is a smoking hot deal for a great home theater projector. BenQ has just released an updated version of the W1070, which is the HT1075. 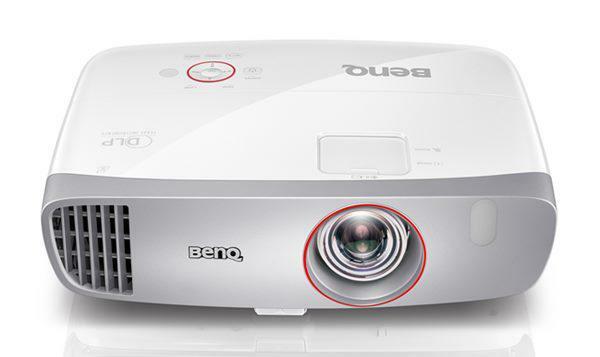 This is not a revolutionary new product, but rather a minor enhancement to an already fine little projector (see BenQ HT1075 review). Optoma has recently begun to ship three new inexpensive 1080p models, the HD26, the GT1080, and the HD161X. We have these three models in house. Unfortunately they have a firmware bug that causes them to perform far below spec. Optoma is aware of the problem and is working on a fix, so we will delay review of these models until that is squared away. The main theme of the show, at least where video is concerned, was the continuing rollout of 4K as the next technology wave. One bit of VERY BIG news is that Sony's 4K media player, the FMP-X10, will be upgraded this fall to include support for ALL 4K compatible HD video display products that have HDCP 2.2 content protection. To date the FMP-X10 has supported just Sony products. On behalf of the whole video world, we say Thank You Sony!!! Where are we at with 4K video display? At this year's CEDIA, attendees saw a lot of 4K pictures, some stunning, some average, and some downright terrible. On the plus side, there were outstanding 4K home theater demos in the Sony, Epson, and Stewart Filmscreen booths. The Sony footage of the World Cup being displayed on the VW1100ES was pristine and natural, beautifully clear and artifact free -- this was an excellent combination of source format and subject matter to show off the true potential of 4K. Sony also showed a clip from The Amazing Spiderman which was not as interesting due to the relentlessly tiresome CGI -- the worst subject matter for showing off 4K. Epson's demo of the LS10000 attracted long lines the entire show. After surveying the competition at CEDIA, it was somewhat of a no-brainer to give the LS10000 our rare Editor's Choice Award. The LS10000 demo was reasonably solid, but having seen the projector up close and personal and knowing what it is truly capable of, I'd say it was not being shown to its best advantage. The demo lasted about 25 minutes, but most of that time the screen was dark while the presenter went on about how reflective technology works and getting into several other side issues along the way. When they finally got around to turning the projector on, the demo clips did reveal glimpses of what the projector is capable of, but they were not as consistently dramatic as the Blu-ray and RedRay subject matter we viewed during our review. The spectacular engineering achievement in the LS10000 is its remarkably pure, natural, analog-like image. However, this distinctive aesthetic quality was easy to miss in the sound and fury of yet another Hollywood car chase scene from Need for Speed, and in a native 4K clip that had artifacts in the source. I left the demo wishing that everyone could have seen more of what we've seen. The good news is that the LS10000 will be a supremely popular model in the marketplace, so the Epson dealers who saw it at CEDIA will eventually get plenty of stick time to explore its exceptional potential. Stewart Filmscreen in partnership with Quantum Media Systems staged a beautiful 4K presentation using a 220" Director's Choice Graymatte screen, and Quantum's commercial Digital Cinema 4K projector and processors. This rig was a great deal more expensive than the offerings from Sony and Epson, but it produced a picture that was a pleasure to behold, again showing the ultimate promise of 4K. I was unable to get by the Digital Projection booth, but they were showing their new 4K units priced up in the rarified atmosphere. Based on my prior experience with DPI, I have no doubt they looked phenomenal -- DPI does nothing less than perfect. But at prices above $100,000 they are projectors most of our readers won't be interested in. Though there was some amazing 4K imagery at this show, there was also a lot of mediocre to substandard 4K as well -- pictures that looked overprocessed, unbalanced, digitally manipulated, and basically fake. One particularly memorable 4K flatscreen demo featured video of a beautiful woman wandering in an elegant estate garden -- the picture was supersaturated, tremendously detailed, sprinkled with motion artifacts and the woman looked as airbrushed as a Vogue cover model. The whole effect was oddly surreal and made me think, "wow, never seen anything quite like that before. Wouldn't want to see it again, either." Most true videophiles look for that elusive, pristine, perfectly natural image that does not look digital or overprocessed. Those folks will have found some 4K products to love at this show. But they also will have seen many 4K pictures that were unbalanced and artificial. The take-away was simple: 4K can be awesome when done right; when done wrong it can be a mess. Combining a native 4K display with a true 4K source does NOT guarantee a watchable picture. The rollout of 4K this year reminds me in some ways of the 3D rollout several years ago -- vendors on a steep learning curve with new technology, artifacts to be dealt with and aesthetic sweetspots yet to be worked out. 4K is definitely the next wave, but in the hands of some vendors is not yet ready for prime time. I'm guessing they will have worked out the kinks by the time CEDIA 2015 rolls around. When you test the 3D for the LS10000 could you please do a L/R 3D test and publish the results so we can all see just how much, if any, the right channel is contaminating the left channel and the left channel is contaminating the right? Could you please take a look at "fast mode" on the Epson with the firmware update and let us know if the image quality has improved any? Is this upgrade available from Epson for the 6010? Grant, the 3D performance test has been done and is now in the Performance section of the LS10000 review. Matt, the firmware update has no substantive impact on fast mode image quality. Greg, the firmware update is for 6030, 5030, and 4030 models only. Your CEDIA 4K commentary read together with recent 4K Projector reviews (Epson LS10000 vs. Sony VW350ES) make me wonder if 4K will really make a difference in most home theaters without gigantic screens. Considering the price differential, aren't the Sony VPL-HW55ES and the Epson PowerLite Home Cinema 5030UB still better price/performance values? Isn't the presence of an auto iris in the HW55ES of greater value than 4K in terms of achieving better overall picture quality? I would be interested in a shootout between the HW55ES and the two new Sony projectors (VPL-HW40ES and VW350ES) using screens of 100" and a 10-12' seating distance.